We provide you with complete crane concepts involving all different types and sizes of cranes, together with other equipment necessary for ideally implementing tasks on your construction site. 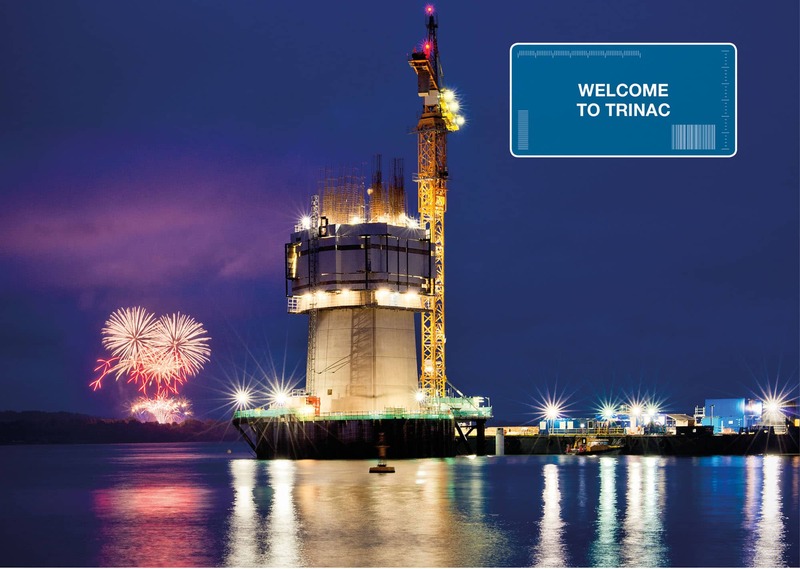 Despite the concepts being individual and different, they all have one thing in common: each planning step incorporates decades of experience and know-how from TRINAC. Efficient locations in Germany, Poland, Russia and Qatar deliver the know-how you need for your projects at first hand. You enjoy reliable service both before and during the construction phase. Have you already worked out your concept? Then you will quickly and easily find the right equipment for hire at our company. On the basis of their many years of international experience our specialists work out the fitting crane concept for you. We think and plan independently of manufacturer. The hardware is configured to provide a customised solution for your respective project. Our local service ensures the functionality of all components during the complete construction phase. Our centuries of experience, such as the new bridge over the Firth of Forth in Scotland, is automatically incorporated into our concept for your project. Whether it’s on land or the high seas – we flexibly adjust our processes to all situations and conditions. Even in cases of force majeure. Unsere Erfahrungen aus Jahrhundertprojekten wie zum Beispiel der neuen Brücke über den Firth of Forth in Schottland fließen automatisch in unser Konzept für Ihr Projekt mit ein. Ob an Land oder auf dem Meer – wir passen unsere Prozesse flexibel an alle Gegebenheiten an. Selbst an Naturgewalten. Our technology and staff work in accordance with uniform, state-of-the-art safety standards – everywhere. For our Scottish project in the sea our staff have even successfully completed marine training. We always work in close coordination with all participants. This includes our clients, but also local authorities or municipal administrations. Our logistics incorporate all necessary measures from assembly to disassembly of the cranes in the traffic concepts of the respective city. We reduce burdens for adjacent residents to a minimum. Only a fair partnership is the basis for enduring business relationships.